2016 GoodReads Challenge – COMPLETED! Craving for Cozies – 2017 Challenge – COMPLETED!!! Cruisin’ Thru the Cozies – 2017 Challenge – COMPLETED!!! E-book Challenge – 2017 – COMPLETED!!! Goodreads Challenge – 2017 – COMPLETED!! Pages Read Challenge – 2017 – COMPLETED!!! Read it again, Sam – 2017 Challenge – COMPLETED!!! Welcome! 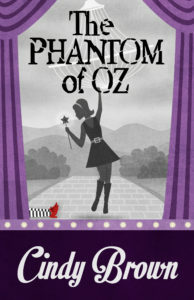 Today’s Great Escapes Virtual Book Touris for The Phantom of Oz by Cindy Brown. 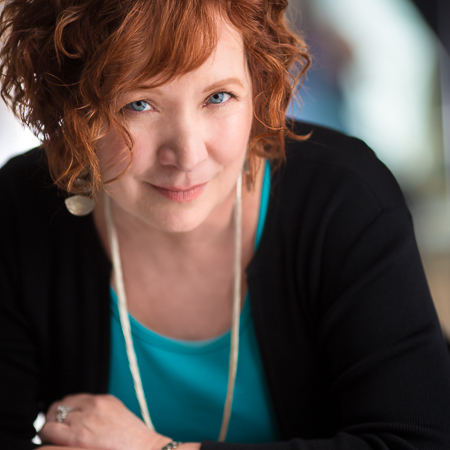 I’m bringing you a spotlight on the book and an interview with the author! I’ll be posting the interview first with the spotlight on the book underneath the interview! Enjoy! Q1) Do you have a day job in addition to being a writer? If so, what do you do during the day? Do you enjoy your day job? Ms. Brown’s Answer: I do have a day job—as a writer. I’m a ghostwriter (nonfiction only), and a content and copywriter. I love my job. I work with really great people, and I get to learn things and play with words. It can be difficult, though, to sit at a screen all day (especially because I’m an extrovert), and to give my brain enough space for my fiction writing. Q2) Do you set aside time to write every day or do you write more sporadically? When you write, do you aim to complete a set # of pages or words? How does music/other noise affect your concentration when you’re writing? Ms. Brown’s Answer: I write every day, though life does interrupt sometimes. I do set deadlines for myself, but have to be a little bit flexible with them so I don’t get obsessed. I sometimes like to listen to Baroque music when I write, and there’s a great app called Coffeetivity which sounds like the murmur of a coffee shop. It’s supposed to aid creativity, and I like the energy it brings to the room. Q3) When you’re writing, do your characters seem to “hijack” the story or do you feel like you have the “reins” of the story? Similarly, do you outline your book first or just sit down and write, seeing where it takes you? Ms. Brown’s Answer: I wouldn’t say the characters hijack the story, but sometimes they surprise me. Sometimes a new character will pop into the story, too, one that I didn’t see coming. Before starting the book, I do a lot of character analysis, and I make sure I know the major points of the story. I’m a former playwright, so I use a three-act dramatic structure to create an outline. But, things always change as I write—sometimes in a big way. Q4) How did you break into the publishing world? How many rejections did you go through before finding a publisher? Did you ever think about quitting? If so, what did you do to keep yourself hopeful? First of all, those rewrites: When agents told me why the book wasn’t marketable, I listened, and I changed the book drastically. When I found out that Sue Grafton was judging the Words with Jam First Page contest, I entered, using the first page from The Sound of Murder. I won third place, and was so excited I woke up my husband with my yelling. That award looked good in my query letter. I kept learning. I read, and went to workshops and conferences. At one of those workshops, Rhys Bowen offered to blurb my book—that also looked great in my query letter. At another, I heard Kendel Lynn of Henery Press speak. I really liked her energy and Henery’s books, so I pitched to her once I got home. Q5) In general, how many revisions do you go through before a book is published? Do you have beta readers or is it just your editing team and their suggestions? Do you set your books aside for a period of time and then pick them up and edit them? Q6) A good villain is hard to write. How did you get in touch with your inner villain(s) to write this book. Was there a real-life inspiration for him/her/it? Ms. Brown’s Answer: Usually my villains are mash-ups of people who piss me off (scammers, narcissists, greed-heads—you get the idea), but the one of the villains in The Phantom of Oz is based on a reality TV star I read about in a gossip magazine. I don’t want to say who—that seems a little mean. Q7) Do any family members, friends, colleagues, acquaintances, etc. end up showing up in your work or are your characters all truly fictional? Ms. Brown’s Answer: The characters are truly fictional. They sometimes have mannerisms or attributes of real people, but I find it distracting to base a character on someone I know. I can’t even name major characters after people I know well, though sometimes I do my friends’ names in cameo appearances. Q8) If you could write about anyone fiction/nonfiction, contemporary/historical who would you write about? Why? Ms. Brown’s Answer: I did get to write about one of my heroes! Even though she’s dead, Annie Oakley plays a major role in Ivy Get Your Gun. Annie was an amazing woman who raised her family out of poverty single-handedly when she was just a teenager, went on to be the most famous woman in the world, and never lost her modesty, kindness, and sense of fairness. Q9) What are some great books you’ve read recently? Ms. Brown’s Answer: I loved Big Little Lies by Liane Moriarty—great characters, a gripping plot, and full of humor and heart. I’m also a big fan of anything by Louise Penny, Tana French, and Elizabeth George. Q10) What books have influenced your life the most? Ms. Brown’s Answer: That’s a tough one. I’m a fast reader, and I always have a book going, so I’ve read thousands of books. Shakespeare has been a major influence—not just with my writing, but with life—I really appreciate his insights into humanity. Q11) If you could spend one day with a character from your book who would it be? And what would you do during that day? Ms. Brown’s Answer: I’d hang out with Ivy. We’d meet up for lunch (we’re both late sleepers), grab good cheap Mexican food at Filiberto’s drive-through, pick up her brother Cody, and take the food to Encanto Park, where we’d picnic. We’d laze around and feed the ducks, then drop Cody off at his group home, check out one of the funky art galleries in downtown Phoenix before eating dinner and seeing a show. After the show, we’d go out with the cast for drinks (Ivy would know someone in the play—the theatre community is small). Q12) Do you read your reviews? Do you respond to them, good or bad? Have you ever learned anything from a bad review and incorporated it into your future work? Ms. Brown’s Answer: Someone once told me that humans tend to remember the negative, not the positive. It’s certainly true with me. I was successful as an actor, with a lot of good reviews, but of course, the one that sticks in my head is the worst one. So now as a writer, I have my husband read my reviews. If they’re good, he’ll let me know and I’ll read them. If they’re bad, I’ll ask him to let me know about any constructive criticism. I’m sure I’ve incorporated some of that feedback into my writing, but I can’t say what. Everything gets put in that into that giant melting pot that’s my subconscious mind. Creepy munchkins. A mysterious phantom. And a real Wicked Witch. Are you ready for it? Actress and part-time PI Ivy Meadows has been hired to uncover the cause of the creepy accidents that plague the roadshow The Wizard: A Space OZpera and find out who dropped a chandelier on the Wicked Witch of the East. Was it the ghost who haunts the Grand Phoenician Theatre? A “wicked witch” in the cast? Or is it someone—or something—more sinister? It’s Ivy’s most personal case so far. Her best friend Candy, who’s touring with the show, is caught in a downward spiral of self-destruction, and is in more danger than she knows. To save her friend and the show, Ivy must answer even tougher questions: Do spirits really exist? What is real beauty? What does friendship mean? Ivy needs to learn the answers, and fast—before Candy reaches the point of no return. 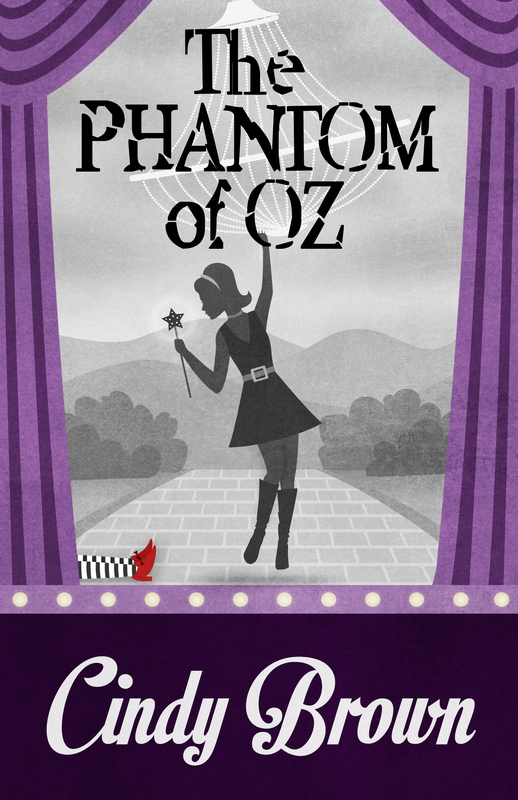 Thanks for joining me today for the Great Escapes Virtual Book Tour for The Phantom of Oz. If you wish to visit other sites along the tour, please click on the banner below to be transported to the main tour page.